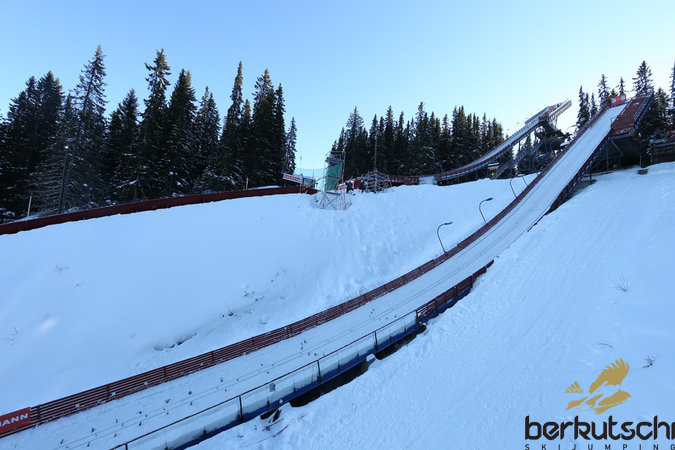 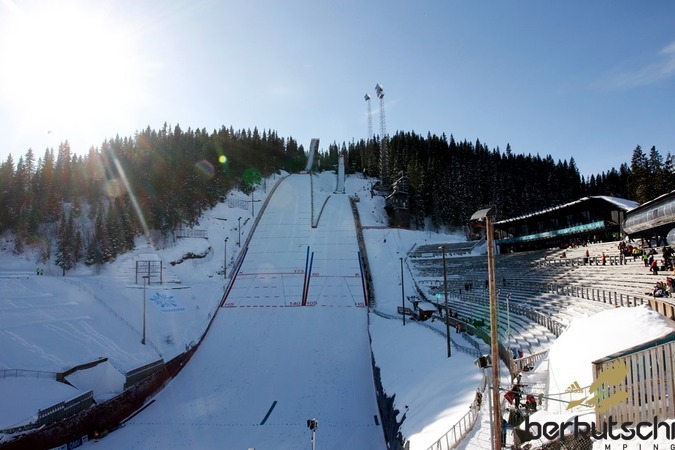 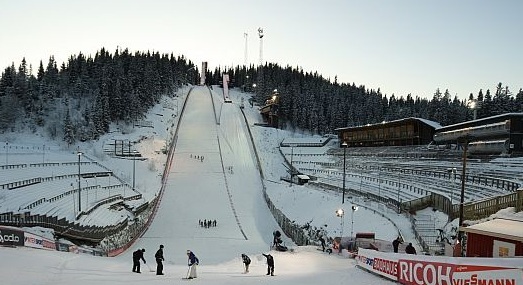 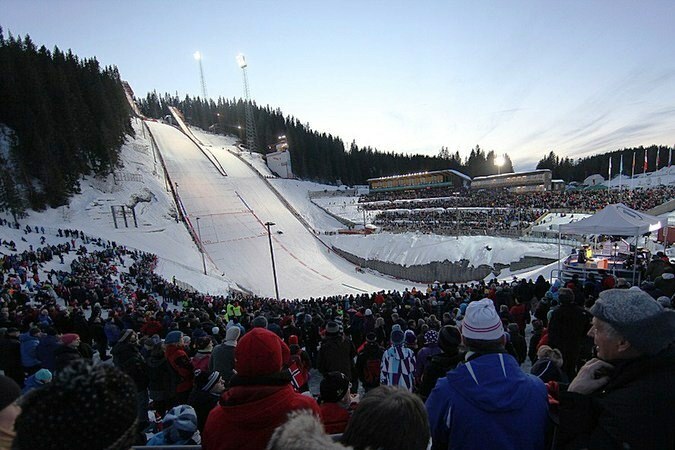 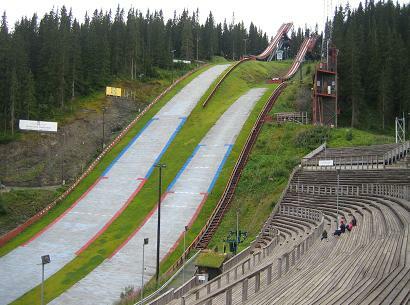 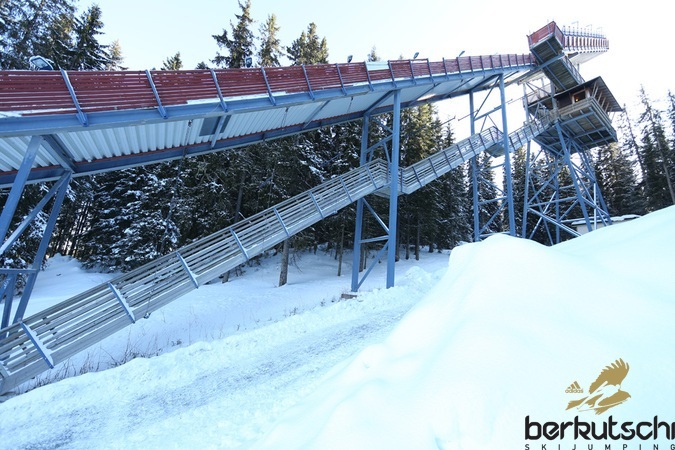 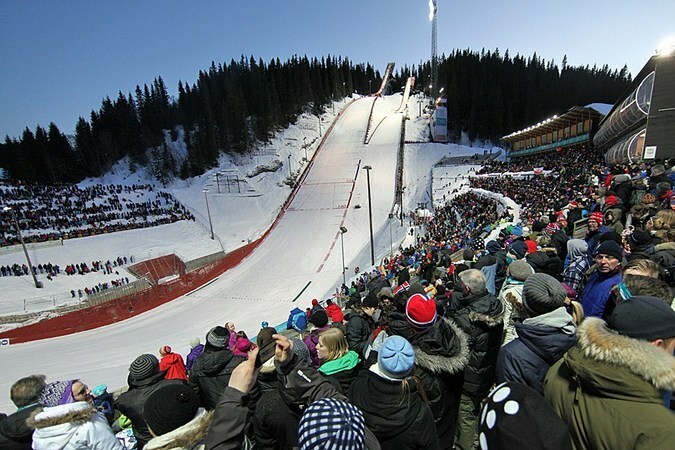 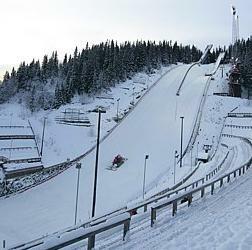 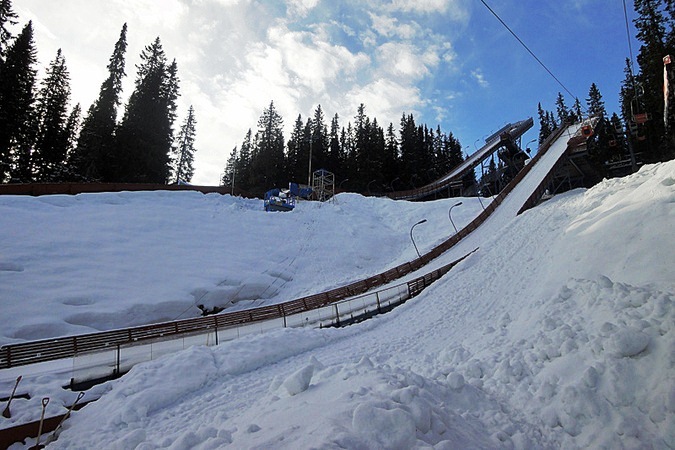 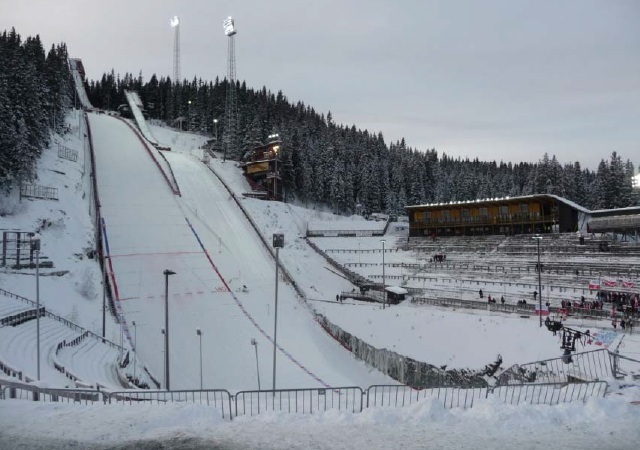 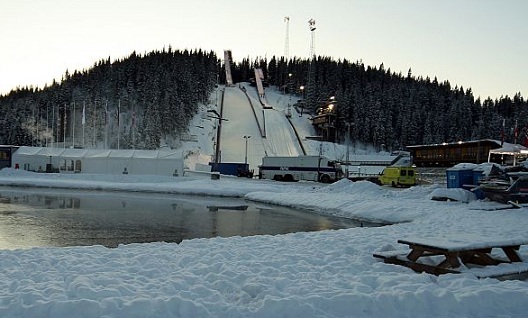 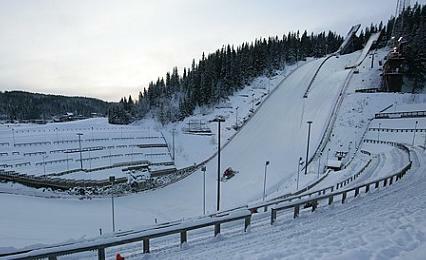 In 1940 the first Granåsen ski jump was inaugurated. 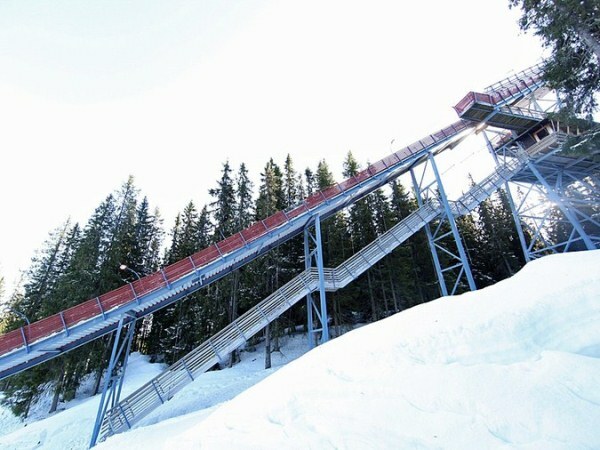 Birger Ruud was the winner and set up a first hill record of 56 m. The first larger conversion took place in 1952. 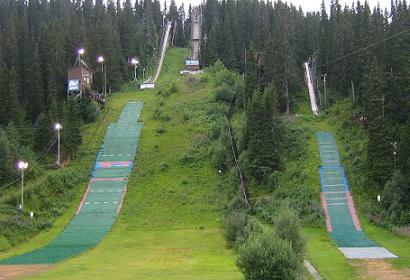 The small and the normal hill were prepared in 1952 for the NM in 1953. 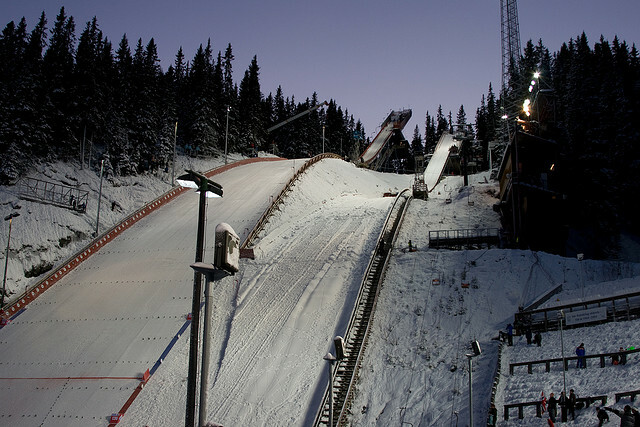 Then the large hill ski jump was constructed in 1959/60 and it was equipped with floodlights, just as the normal hill was before. 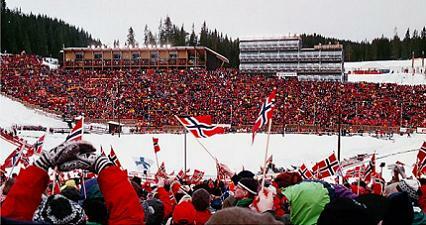 For the Norwegian Championships of 1970 a large spectator stand was built at normal hill (at that time K64). 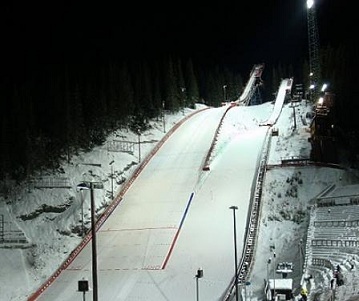 Together with the ski club of Meldal, who hosted the NM on the large hill (at that time K87 at Meldal), a new floodlight system and an electronic score board, by the way the very first in whole Norway, were developed. 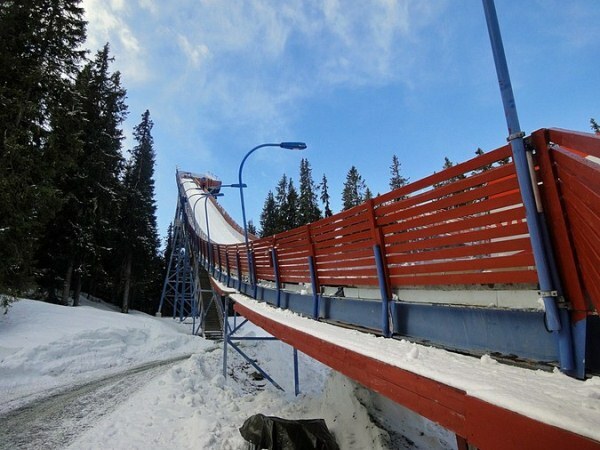 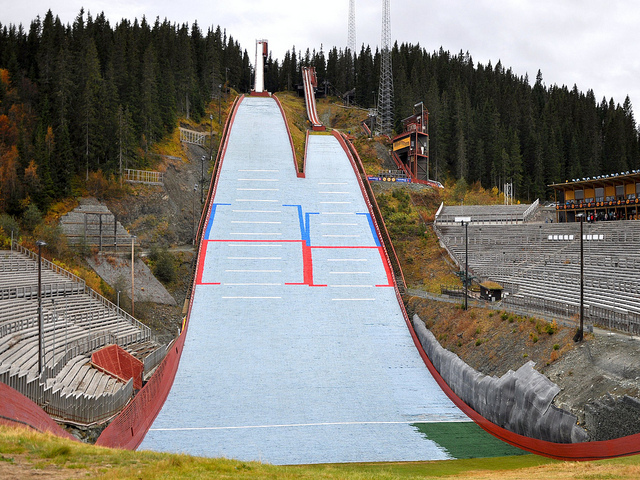 In 1977 the normal hill ski jump was again enlarged on K64 and covered with plastic mattings. 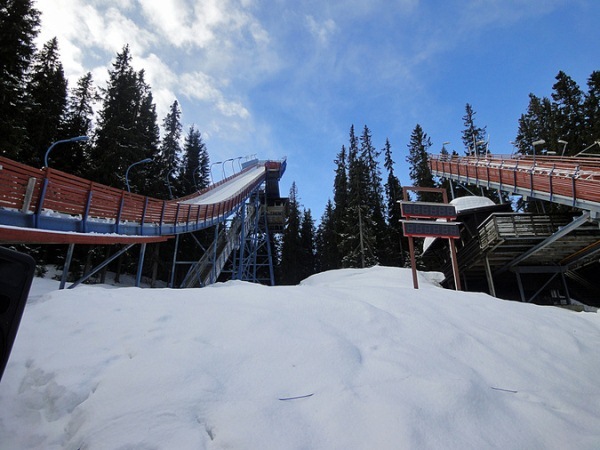 Its K-Point is still today at K64, but the hill is now only a middle-size ski jump and only used for practising and young athletes training of Team Trønderhopp. 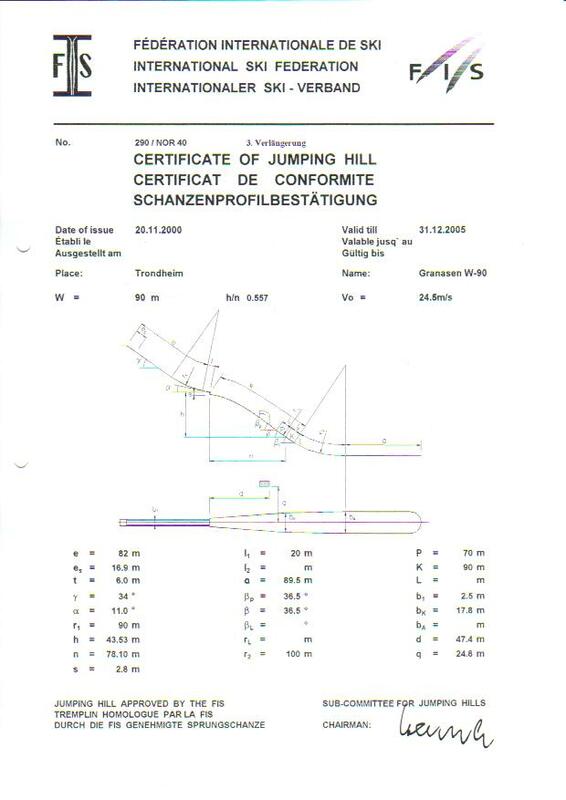 In order to fulfil FIS requirements, in 1980 the last conversion of that time’s large hill jump was done. 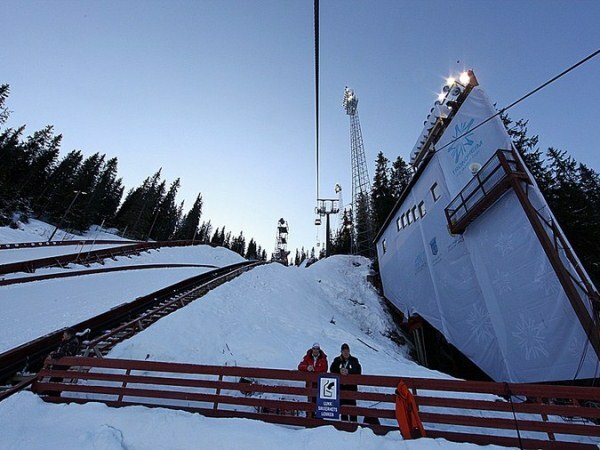 By the occasion also the K38 was converted and, just as all other jumps before, equipped with floodlights. 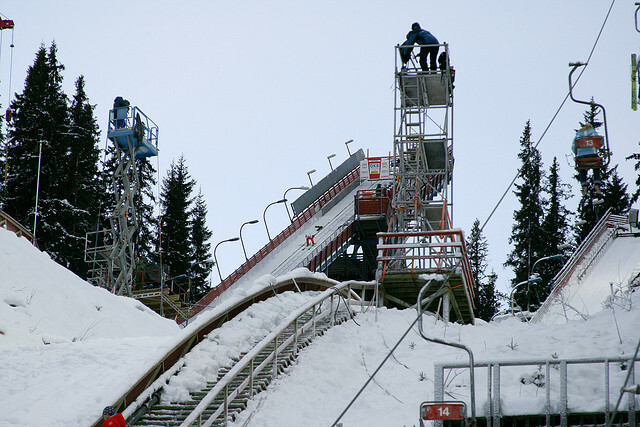 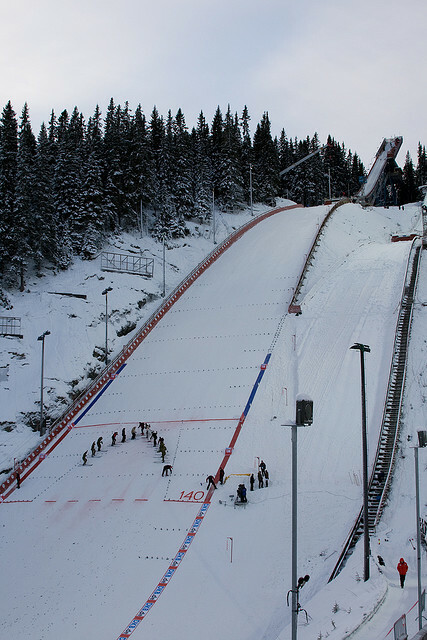 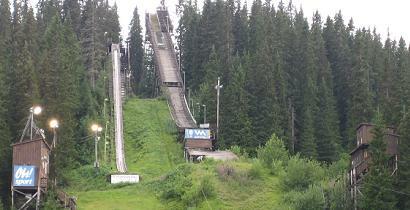 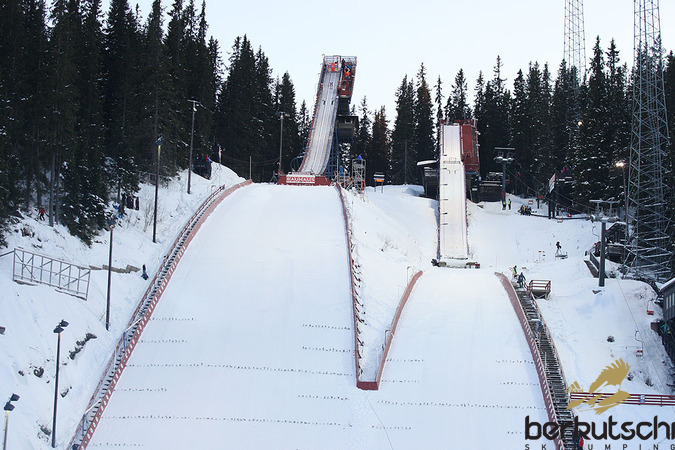 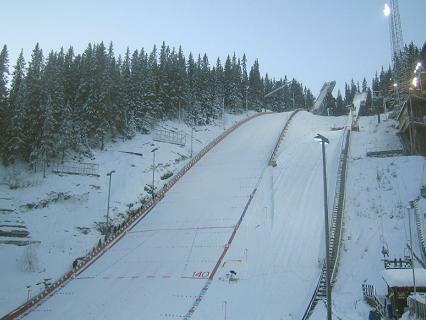 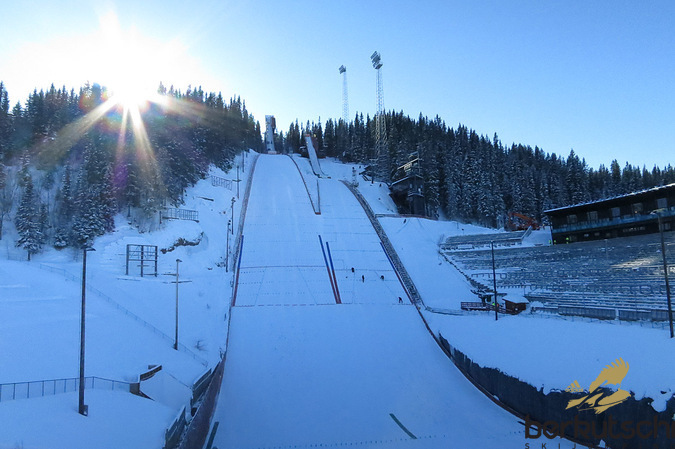 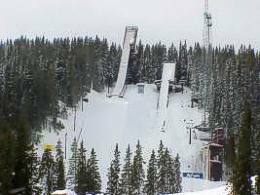 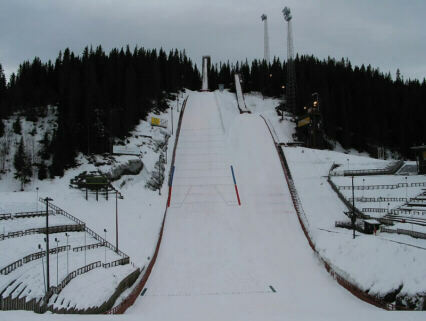 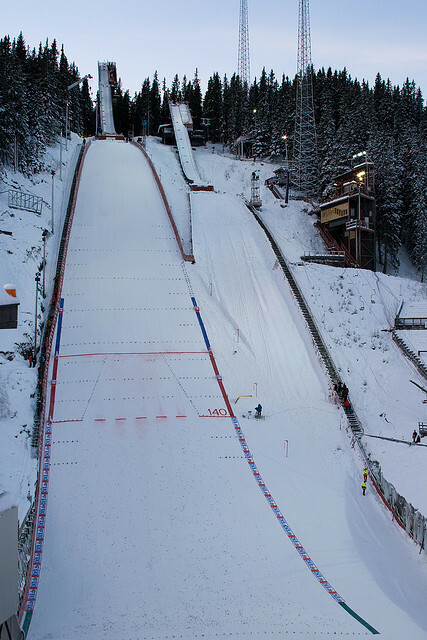 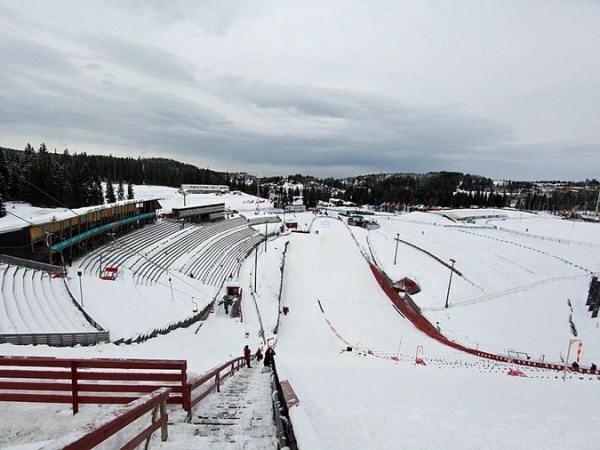 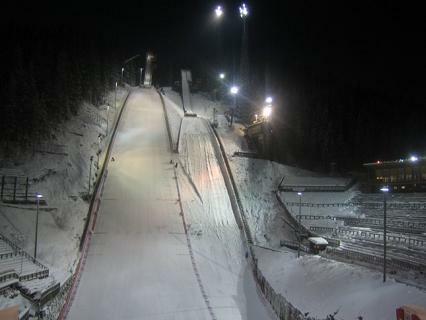 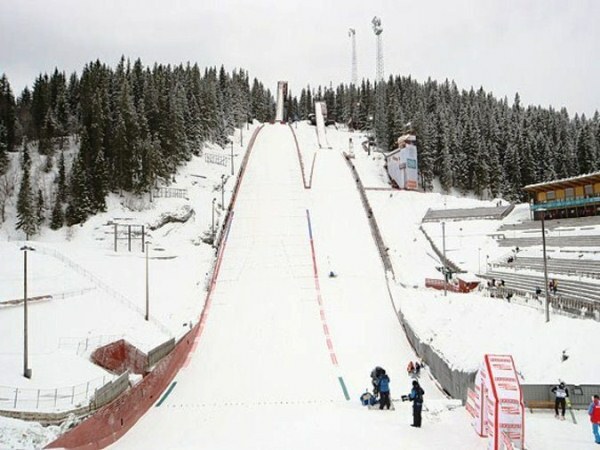 In 1983 a ski lift was installed at the large hill jump for Nordic Junior World Championships one year later. 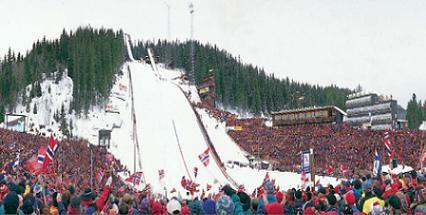 In 1987 K38 training hill was covered with plastic mattings. 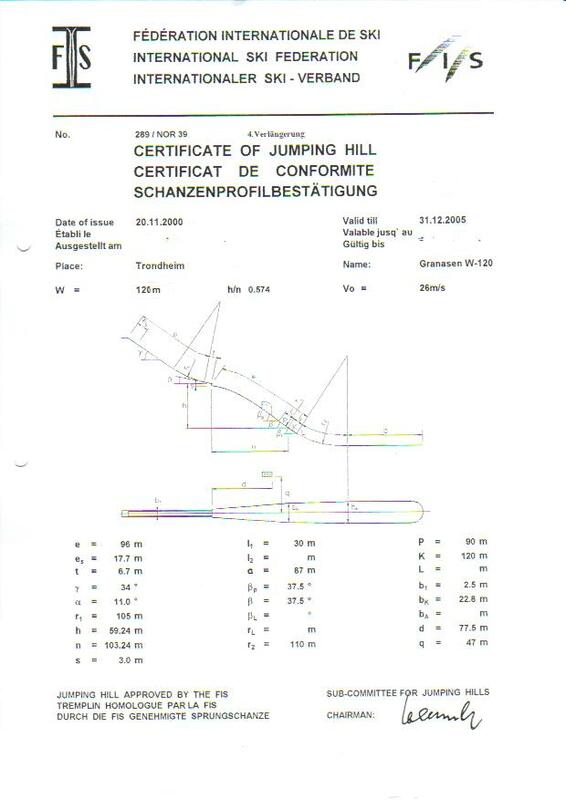 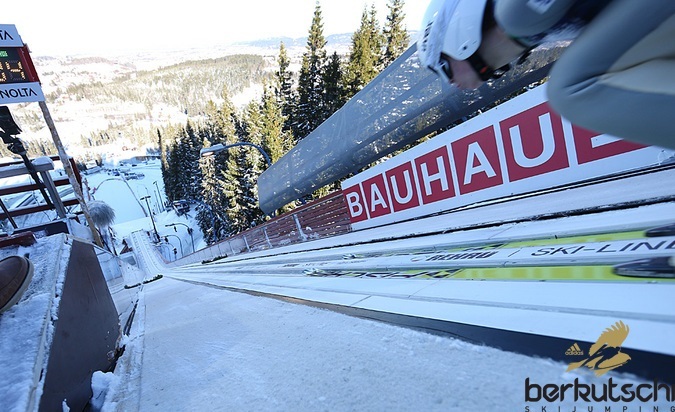 Then the hill certificate of K78 run out in 1988 and was no more renewed, because the new World Championship hill had a K-Point of 90 meters and took over the status as a normal hill ski jump. 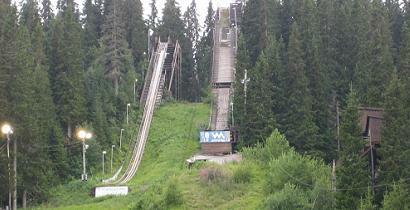 Since the former large hill (K78) hasn’t been used as the very recovered and wild landing hill shows. 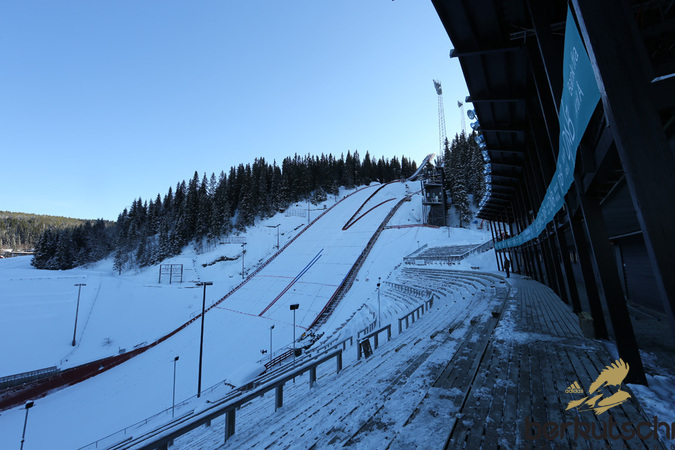 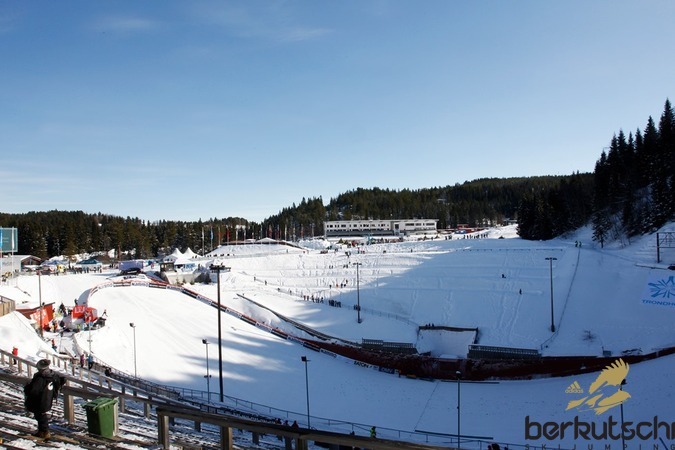 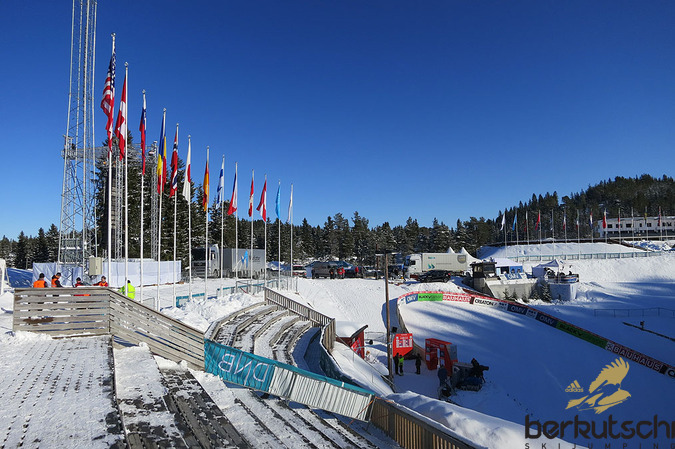 Finally, in 1990 today’s large and normal hill were constructed as K120 and K90 for Nordic Ski World Championships 1997, and since 1991 World Cup is hosted regularly there. 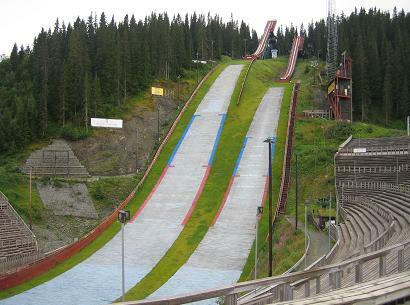 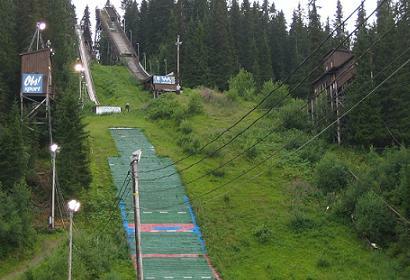 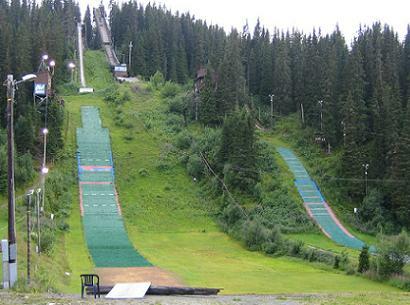 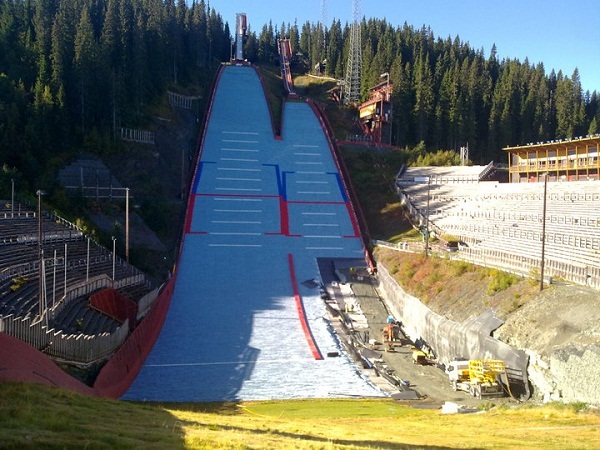 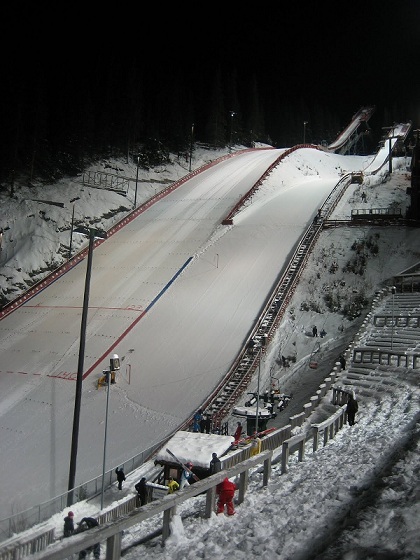 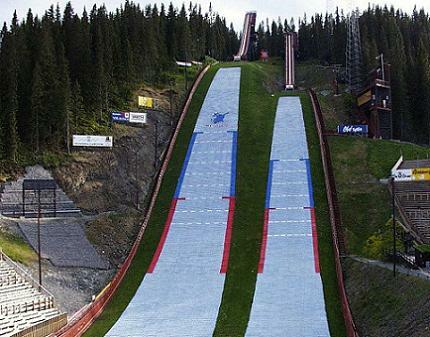 In 2008 the K120 (HS 131) large hill was modernized as K124 / HS 140 and both ski jumping hills were covered with new plastic mattings for summer use. 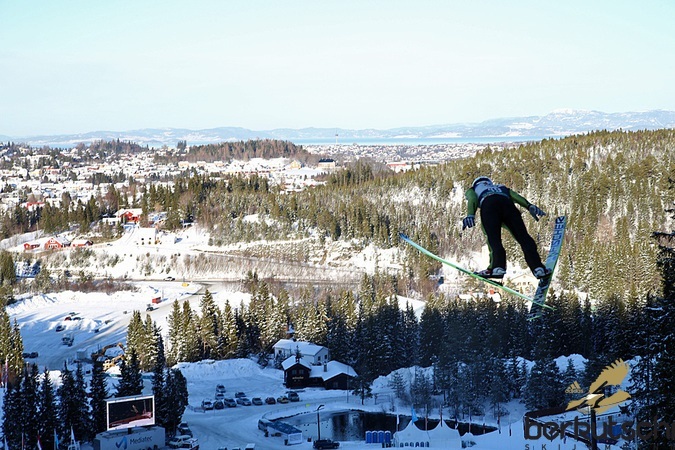 Trondheim is a city with a large harbour and the third biggest in Norway. 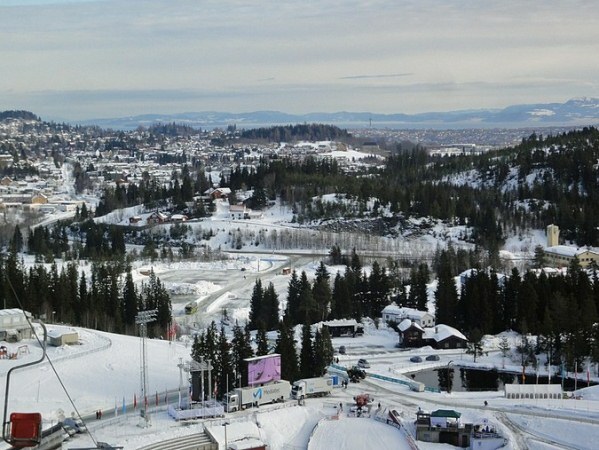 The Nidarosdome of the 12th century which was built over the grave of King Olaf I., is said to be one of the nicest churches in Scandinavia. 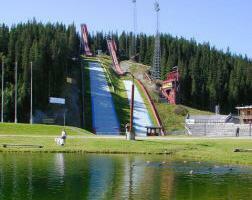 The city was founded in 997 by Olaf I. and was the capitol of Norway until 1380. 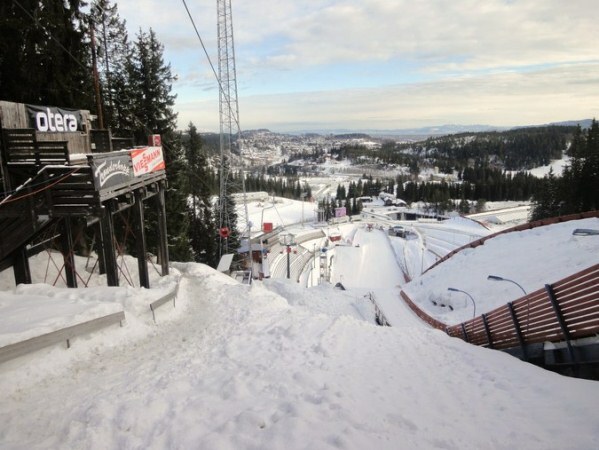 A landslide has spoilt the plastic covering of the WSC hill of 1997 in Trondheim already last week. 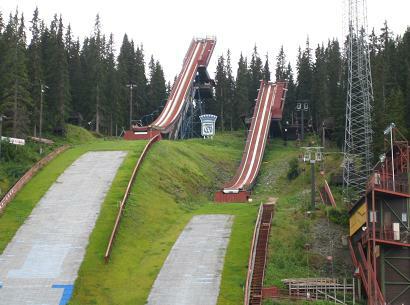 This is especially annoying, because the ski jumping facility was renovated elaborately over the last years.